Anyone want to phone E.T.? | Do the twisted. Anyone want to phone E.T.? Sad you don’t have a window in your office and can’t watch the blizzard outside? Not a problem. 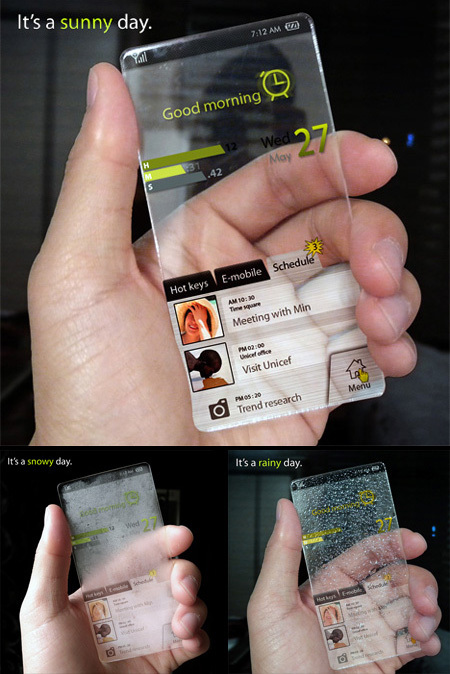 Prop up your phone, light a fire in your trashcan and watch the snow fall. 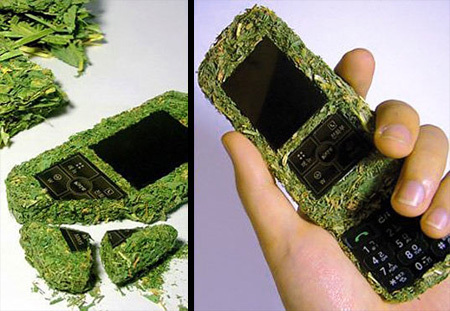 Ah, a biodegradable phone. Soooo when you’re done with it, you can smoke it too? Looks like the slap bracelet made a comeback. New and improved, without the risk of death. 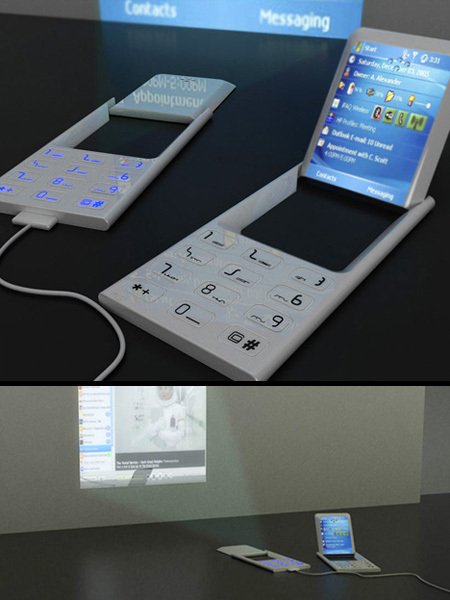 Ideal and most beneficial for business folks. Let’s just hope they don’t decide to call a meeting in a movie theater. You get a double whammy with this one. 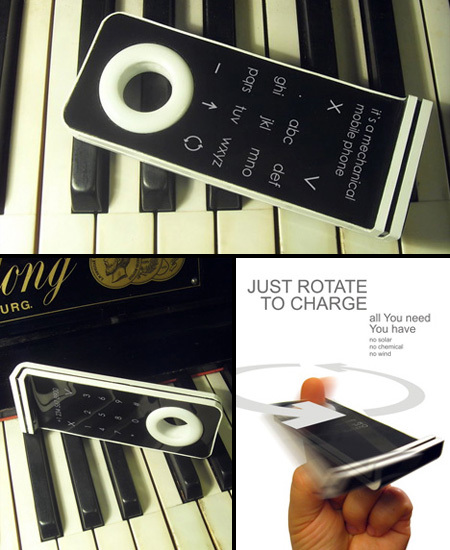 When you spin it, you’ll charge the phone AND impress people. Woah definitely looks cool, thanks for finding these, I’ll definitely have to share this with some friends! I like the lip up screen/projector and bracelet one! Thanks for checking it out! 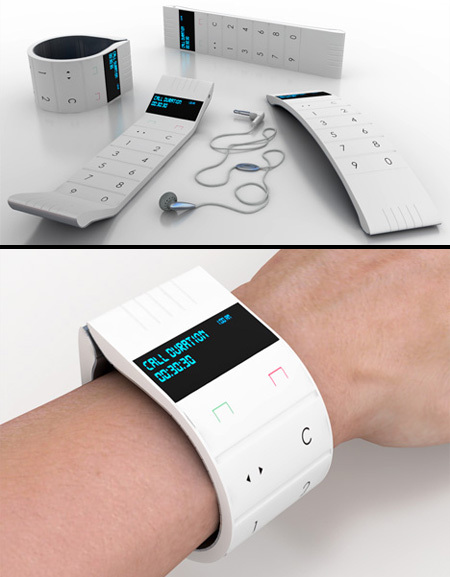 Bracelet phone would definitely be fun to play with. Secret agent perhaps? As for the biodegradable one, yes it could be dangerous. What if a Venus FlyTrap suddenly grew out of it and ate your hand? !